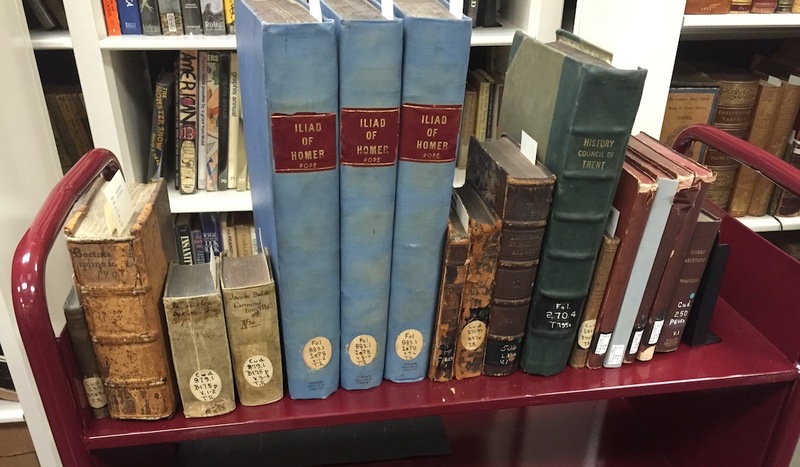 In week two, the Ramonat Scholars looked at various books from Loyola’s original college library that had been identified by the Jesuit Libraries Provenance Project. To prepare them for these sources, the students were given a seminal essay by Robert Darnton, now University Librarian at the Harvard University Libraries, on “What is the History of Books?” and had a choice of several titles on a reserve shelf in Loyola’s University Archives and Special Collections. Some of the books from the original St Ignatius College Library. Image from Claire Blankenship’s blog post. Incunabula (books printed with movable type before 1501) are among the most valued surviving early books today. Claire looked at the material text of a 1491 Boethius in Special Collections to see what meanings she can extract from it. It’s a well-worn cliché, but this week’s posts certainly prove that you cannot judge a book by its cover – although that cover might have some really interesting things to tell you about the book! An inscription inside the front cover of the 1676 copy of Sarpi’s History of the Council of Trent. Image from Guy Valponi’s blog. 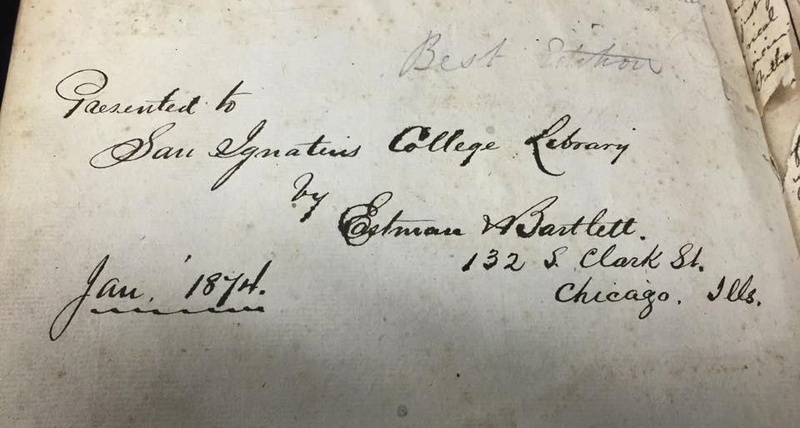 Reblogged this on The Jesuit Libraries Provenance Project.